For three NBA officials, selecting the starting lineups for the upcoming NBA All-Star Game was a piece of cake. All of three of them – a player personnel director, coach and advance scout — were virtually in total agreement as to who should be the on the floor for the opening tip of the Game, which will be held on Feb. 17 in Charlotte. 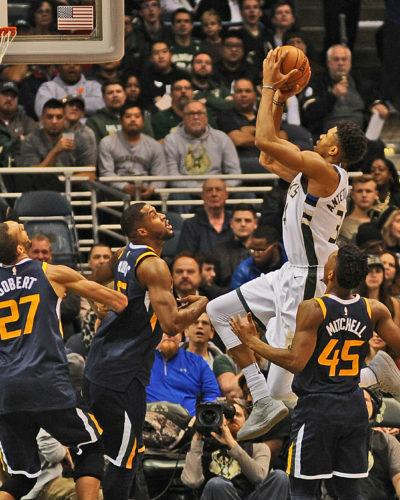 In the Eastern Conference, they were in total agreement that Giannis Antetokounmpo of the Milwaukee Bucks and Kawhi Leonard of the Toronto Raptors should start and two of the three officials felt they should be joined by Philadelphia’s Joel Embiid, Charlotte’s Kemba Walker and Washington’s Bradley Beal. As for the Western Conference starters, there was unanimity among the trio of longtime NBA officials on three players: New Orleans’ Anthony Davis, Golden State’s Kevin Durant and Houston’s James Harden. The aforementioned officials rounded out the West’s starting five by choosing the Lakers’ LeBron James and Golden State’s Stephen Curry. 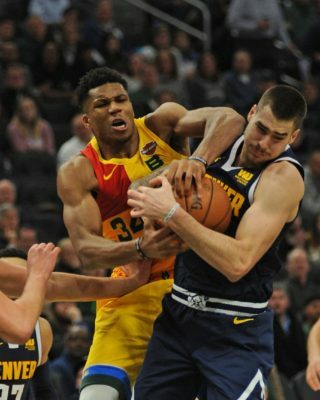 The only other players to receive votes as starters were Detroit’s Blake Griffin and Boston’s Kyrie Irving in the East, and Denver’s Nikola Jokic and Oklahoma City’s Paul George in the West. Besides Griffin and Irving, the officials’ choices for reserves on the Eastern Conference team were Indiana’s Victor Oladipo, Philadelphia’s Ben Simmons, Orlando’s Nikola Vucevic, Philadelphia’s Jimmy Butler and Milwaukee’s Khris Middleton. Besides Jokic and George, the NBA officials also selected Portland’s Damian Lillard, Oklahoma City’s Russell Westbrook, San Antonio’s DeMar DeRozan, Dallas’ Luka Doncic and Tobias Harris of the Los Angeles Clippers as their seven reserves. A total of 17 players from the Eastern Conference and 16 players from Western Conference garnered at least one vote. San Antonio’s LaMarcus Aldridge 1. STARTERS: Joel Embiid, Philadelphia, Kawhi Leonard, Toronto, Giannis Antetokounmpo, Kemba Walker, Charlotte, Bradley Beal, Washington. RESERVES: Kyrie Irving, Boston, Blake Griffin, Detroit, Victor Oladipo, Indiana, Ben Simmons, Philadelphia, Andre Drummond, Detroit, Khris Middleton, Milwaukee, Nikola Vucevic, Orlando. DREW CONSIDERATION: John Collins, Atlanta, Domantas Sabonis, Indiana, Josh Richardson, Miami. STARTERS: Anthony Davis, New Orleans, James Harden, Houston, Kevin Durant, Golden State, LeBron James, L.A. Lakers, Paul George, Oklahoma City. RESERVES: Stephen Curry, Golden State, Damian Lillard, Portland, DeMar DeRozan, San Antonio, Karl-Anthony Towns, Minnesota, Luka Doncic, Dallas, Nikola Jokic, Denver, Russell Westbrook, Oklahoma City. DREW CONSIDERATION: Jrue Holiday, New Orleans, LaMarcus Aldridge, San Antonio, De’Aaron Fox, Sacramento, Tobias Harris, L.A. Clippers, Mike Conley, Memphis. STARTERS: Giannis Antetokounmpo, Milwaukee, Kawhi Leonard, Toronto, Blake Griffin, Detroit, Kembo Walker, Charlotte, Bradley Beal, Washington. RESERVES: Joel Embiid, Philadelphia, Victor Oladipo, Indiana, Ben Simmons, Philadelphia, Kyrie Irving, Boston, Kyle Lowry, Toronto, Myles Turner, Indiana, Jimmy Butler, Philadelphia. DREW CONSIDERATION: Hassan Whiteside, Miami, Andre Drummond, Detroit, Domantas Sabonis, Indiana. STARTERS: Stephen Curry, Golden State, James Harden, Houston, LeBron James, Los Angeles Lakers, Kevin Durant, Golden State, Anthony Davis, New Orleans. RESERVES: Nikola Jokic, Denver, Klay Thompson, Golden State, Paul George, Oklahoma City, Russell Westbrook, Oklahoma City, Damian Lillard, Portland, Rudy Gobert, Utah, LaMarcus Aldridge, San Antonio. DREW CONSIDERATION DeMar DeRozan, San Antonio, Donovan Mitchell, Utah, Luka Doncic, Dallas. STARTERS: Giannis Antetokounmpo, Milwaukee, Joel Embiid, Philadelphia, Kawhi Leonard, Toronto, Kyrie Irving, Boston, Kemba Walker, Charlotte. RESERVES: Ben Simmons, Philadelphia, Domantas Sabonis, Indiana, Bradley Beal, Washington, Blake Griffin, Detroit, Nikola Vucevic, Orlando, Spencer Dinwiddie, Brooklyn, Victor Oladipo, Indiana. DREW CONSIDERATION: Jimmy Butler, Philadelphia, Khris Middleton, Milwaukee. STARTERS: Nikola Jokic, Denver, Anthony Davis, New Orleans, James Harden, Houston, Kevin Durant, Golden State, Stephen Curry, Golden State. RESERVES: Russell Westbrook, Oklahoma City, LeBron James, Los Angeles Lakers, Paul George, Oklahoma City, Damian Lillard, Portland, DeMar DeRozan, San Antonio, Luka Doncic, Dallas, Tobias Harris, Los Angeles Clippers. DREW CONSIDERATION: LaMarcus Aldridge, San Antonio, De’Aaron Fox, Sacramento. STARTERS: Kawhi Leonard, Toronto, Giannis Antetokounmpo, Milwaukee, Joel Embiid, Philadelphia, Kyrie Irving, Boston, Bradley Beal, Washington. RESERVES: Kemba Walker, Charlotte, Blake Griffin, Detroit, Ben Simmons, Philadelphia, Victor Oladipo, Indiana, Nikola Vucevic, Orlando, Jimmy Butler, Philadelphia, Khris MIddleton, Milwaukee. DREW CONSIDERATION: Myles Turner,Malcolm Brogdon, Milwaukee, J.J Redick, Philadelphia, Serge Ibaka, Toronto. STARTERS: Anthony Davis, New Orleans, LeBron James, Cleveland, Kevin Durant, L.A. Lakers, James Harden, Houston, Stephen Curry, Golden State. RESERVES: Nikola Jokic, Denver, Paul George, Oklahoma City, Russell Westbrook, Oklahoma City, DeMar DeRozan, San Antonio, Damian Lillard, Portland, Luka Doncic, Dallas Tobias Harris, L.A. Clippers. 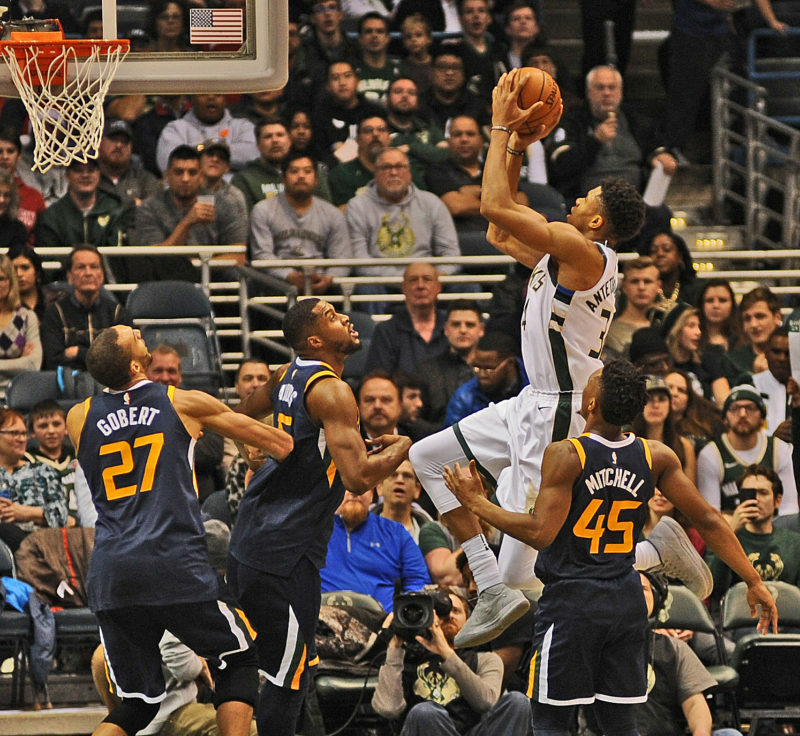 DREW CONSIDERATION: Donovan Mitchell, Utah, Jrue Holiday, New Orleans, Mike Conley, Memphis, LaMarcus Aldridge, San Antonio, Klay Thompson, Golden State, Karl-Anthony Towns, Minnesota. 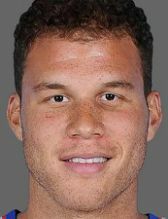 LAST WORD: The West’s starting lineup is a Who’s Who of NBA superstars, all future hall of fame locks. … It’s a crying shame a player as immensely talented as Jokic won’t be a starter, but he’s a victim of the West’s exceptionally deep talent pool. … If the All-Star Game comes down to one shot, and the Western Conference has the ball, who does the coach (as of today, it would be Golden State’s Steve Kerr) call on to take the last shot? A nice problem, a very nice problem indeed.